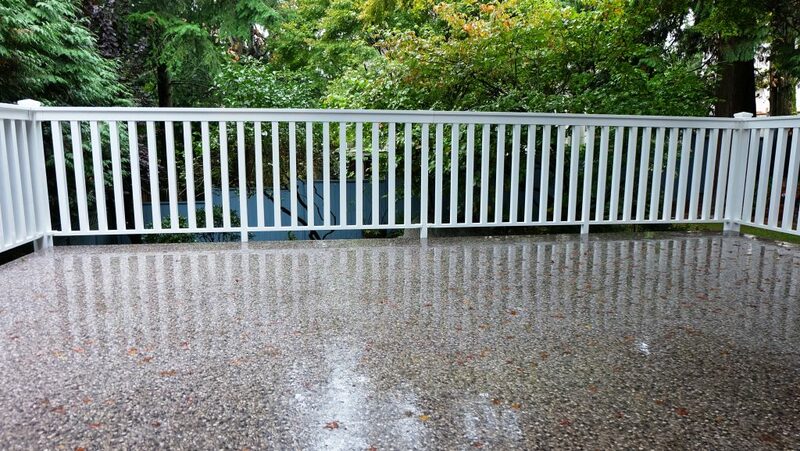 There are a lot of waterproof decking options on the market today. When it comes to choosing what type of deck waterproofing system to use for your next project things can become a little confusing. Tuff Industries Inc. is an industry leader in vinyl decking and has taken the complex process of waterproofing decks to a whole new level with our Signature Brand of Vinyl Decking Cover, Tufdek. Our combination of manufacturing controls, independent testing, product audits and Authorized Dealers, make Tufdek the industry leader for professionally installed Waterproof Deck Systems. Our integrated installation systems will ensure Tufdek is not only the best Vinyl Deck Covering for your next project, but a Complete Waterproofing Solution. 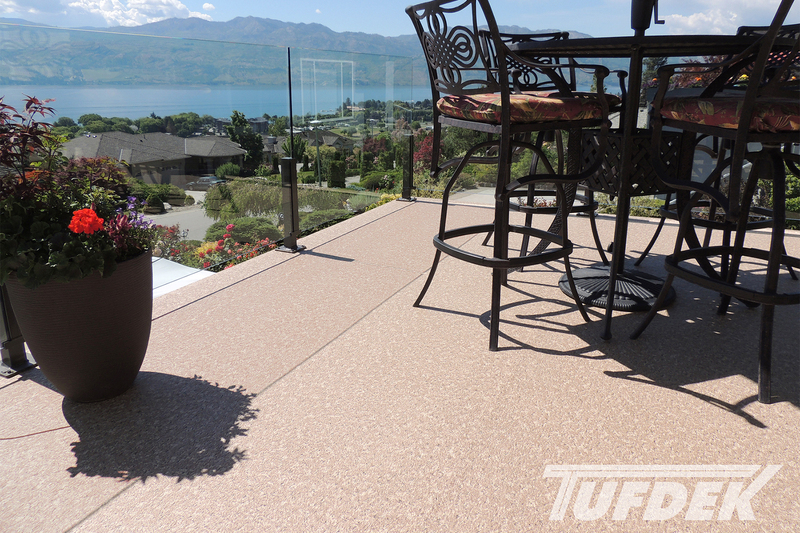 Tufdek is the industry leader for waterproof flooring on balconies, deck’s, roof-top patios or above grade concrete slabs. Tufdek is not a coating but a waterproof sheet which is fully adhered to the surface. It is then thermally welded at all joints, connections and up stands to create a 100% waterproof, long lasting, and attractive walking surface. Available in the most unique and sought-after designs, Tufdek has a pattern and color to compliment any building’s exterior. At Tufdek, we take pride in offering not only The World’s STRONGEST Vinyl Decking, but quite simply, the best deck waterproofing system on the market. Tufdek was established to improve on the various systems and concepts for waterproofing decks, balconies, roof decks and other waterproof traffic surface. It is recognized by many as an industry innovator in high quality, attractive sheet vinyl waterproof flooring. Millions of square feet of Tufdek have been installed in many of North America’s extreme climates. As an industry innovator, Tufdek offers a Complete Waterproof System to the customer: quality products, accessories, training and complex ongoing testing. 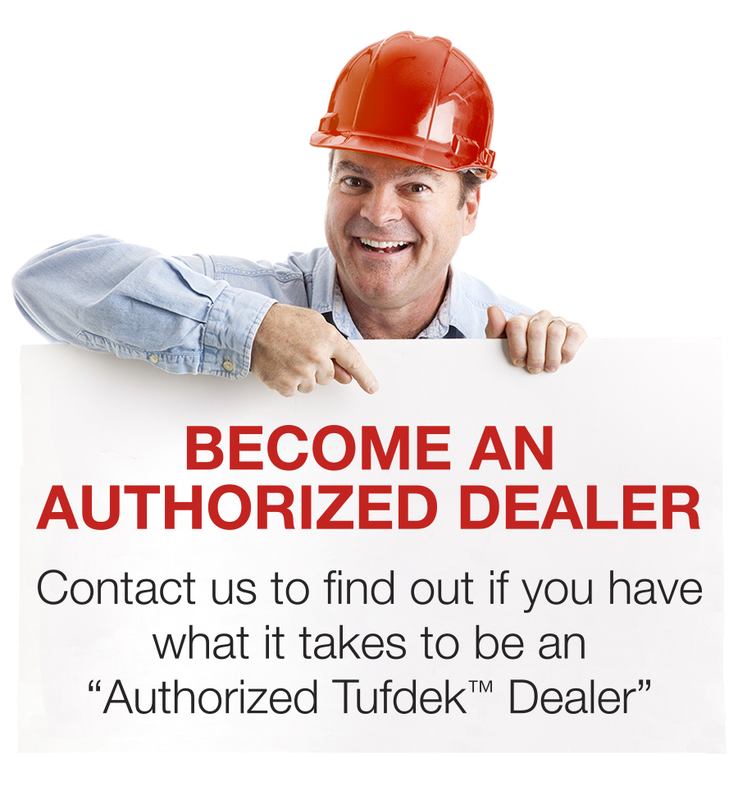 At Tufdek we welcome your inquiries. If you are an Architect or Engineer and specify single-ply deck and roof membranes, we have the right product for your projects. If you are a building owner, property manager, or home owner and have been looking for a product that actually works and lives up to all the HYPE, then look no further. As a Professional deck renovator or waterproofing company, the Tufdek system will be the answer both you and your customers have been looking for. So, if you’re looking for the Best Vinyl Decking Cover look no further, contact us today via email or fill out our contact form today and one of our Tuff Industries Professionals will contact you about Tufdek, the Best Waterproofing Choice for your next project!